If you own a GIGABYTE 9 series motherboard, a slew of new BIOS updates are available to support the upcoming 5th generation Intel Core processors. GIGABYTE sent us the following press release today to announce Z97/H97 compatibility through a simple BIOS update. 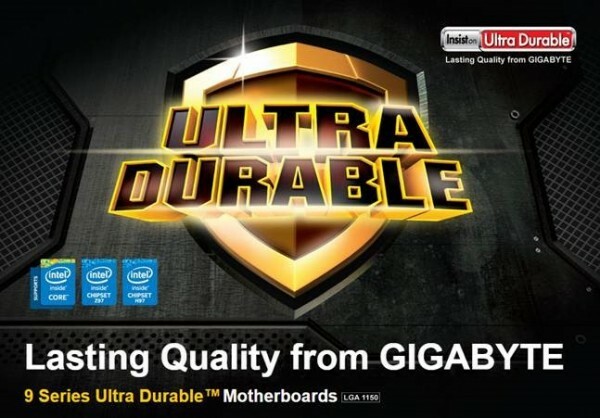 GIGABYTE engineers have tested and validated all GIGABYTE 9 series motherboards including Z97 and H97 chipset-based motherboards to ensure optimal performance for 5th Gen Intel® Core™ processors. Users wanting to take advantage of all the features of 5th Gen Intel® Core™ processors have to offer at launch, simply need to download the latest UEFI BIOS from the GIGABYTE website. That's awesome news for Gigabyte owners. Hoping other vendors offer the same support.